My long vacation slowed down progress on my Newbery Challenge. I did not have much time to read while on the Dig, and also I don’t take library books with me when I travel. Once I got back home I put in requests for the next round of books in my challenge. Tonight I will share the Newbery books that I have read since my return from vacation. 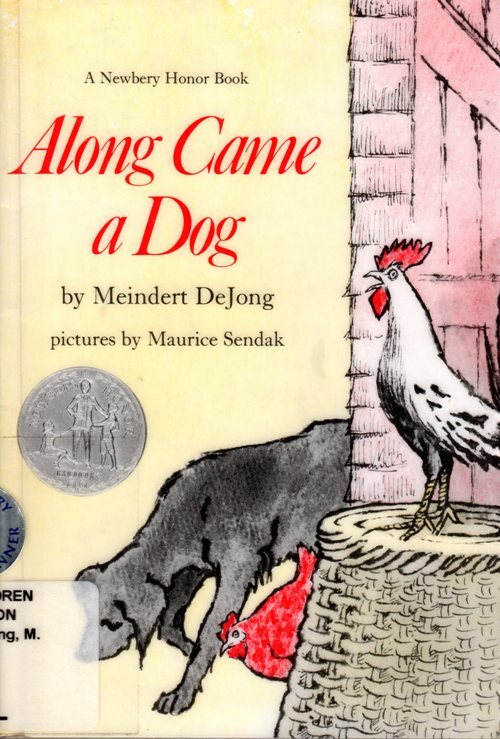 The first book to show up at the library was Along Came a Dog by Meindert DeJong. The book is illustrated by Maurice Sendak. This book was a runner-up in 1959. The runner-ups were later named Honor books. I really liked this story about a dog, a little red hen and a man. The story flows smoothly and is a wonderful story about friendship and helping each other. I checked to see what book won the medal in 1959. As much as I like this book, The Witch of Blackbird Pond by Elizabeth George Speare was definitely a good choice for the medal. Hello, The Boat! by Phyllis Crawford was a runner-up in 1939. 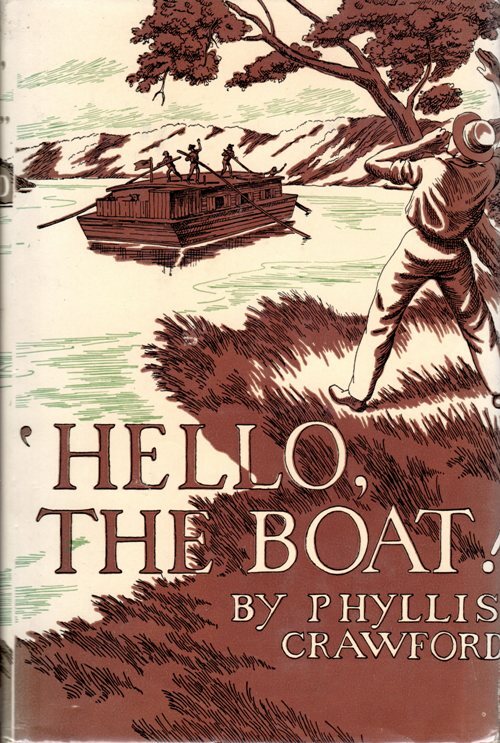 This Historical Fiction novel is about a store-boat that a family takes down the Ohio River as they move from Pittsburgh to Cincinnati. The journey is made in 1817 and you learn a lot about how people lived at that time. The book is full of adventure and even a bit of drama. Also, there is a little love story. 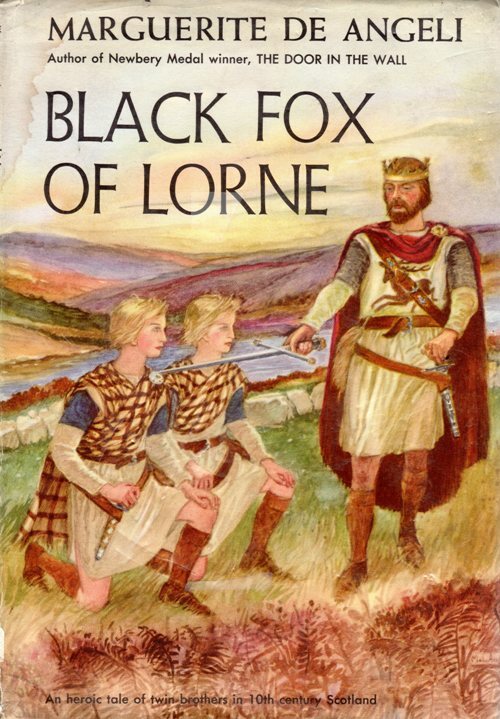 The Black Fox of Lorne by Marguerite de Angeli was a runner-up in 1957. This Historical Fiction novel takes us back to Scotland in the 10th century. The story is about twin brothers who are shipwrecked on the coast of Scotland. One of the twins is captured and the captors do not know about the other one. The captors kill their father and they work together as they plot revenge on his killer. 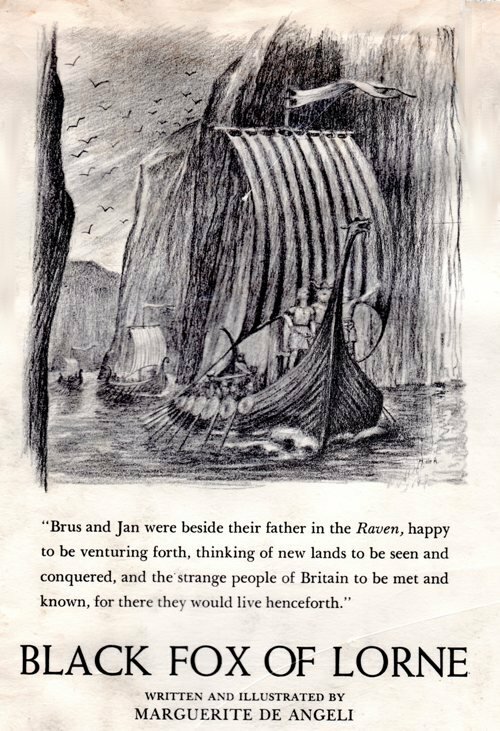 The book also covers Christianity in Scotland and how it is seen by the brothers who are Vikings and worship the Norse gods. One of the main themes is waiting for revenge and letting it come from God. I would definitely recommend this book, as well as another book by the same author. Marguerite de Angeli won the Newbery Medal in 1950 for A Door in the Wall. Marguerite de Angeli was also the illustrator for the book. She illustrated quite a few books before she became a writer herself, including at least one Newbery Honor book. After looking through the titles of the books she has written, I know that I will be searching for more of her books. Next up on the Newbery list are The Silver Pencil, Shadrach, Down Ryton Water and Nansen. 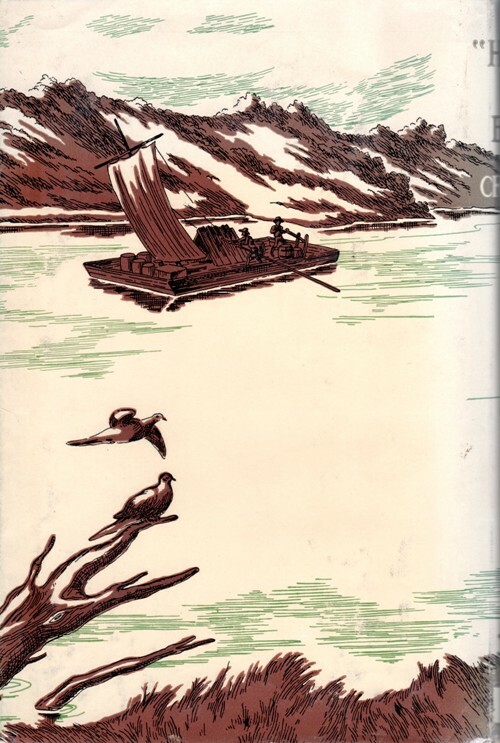 This entry was posted in Books, Culture, History and tagged boats, dogs, Historical Fiction, literature, Marguerite de Angeli, Meindert deJong, Newbery Honor book, Ohio River, Rivers, Scotland, Vikings. Bookmark the permalink.